With over 250 million monthly users, Pinterest is an extremely effective marketing tool on social media. Additionally, 77.4 million Pinterest users are in the US. Pinterest marketing is an excellent way to drive traffic to your blog or website. But if your Pinterest marketing campaign has become too time-consuming, we’ve put together 10 valuable tips that will save you time and enhance your marketing strategy. 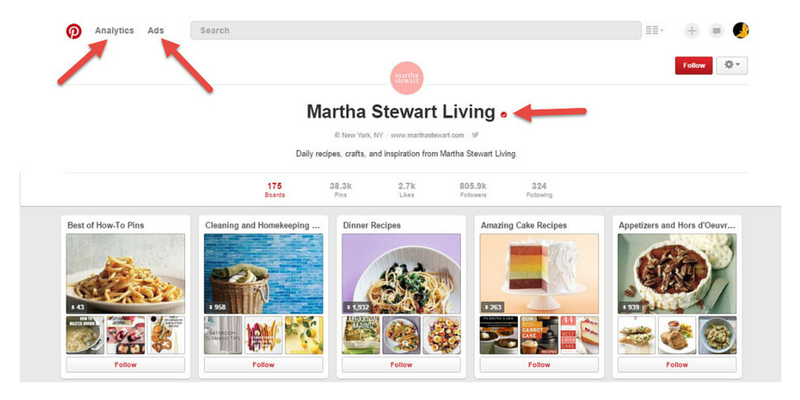 Use Pinterest search to find pinners that are well suited to your brand and try to follow five new pinners daily. If you’re unsure about following certain pinners, check their profile to be sure. When uploading Pinterest images, use vertical images with an image aspect ratio of 2:3 or 1:3.5 to get more visibility on your pins. Make a point to comment on pins you find interesting, and if possible, include a link to content that may add support to your comment. But stay clear of making a promotional comment. You can pin from mobile Safari and Chrome with your iPhone. Just enable the share extension for Pinterest. Tap the Share icon then swipe left and tap More in the second row of the share menu. In the Activities menu, turn on Pinterest and hit Done. The Pinterest button will appear when you tap the Share icon. Remember to clear your Pinterest app’s cached data. Use this link to obtain a widget and corresponding code you can embed on your blog or website. To find inspiration for original pins, review Pinterest Analytics to determine which images are getting the most likes and comments. After you have discovered what your best pins are you can utilize what you’ve learned before creating new pins. 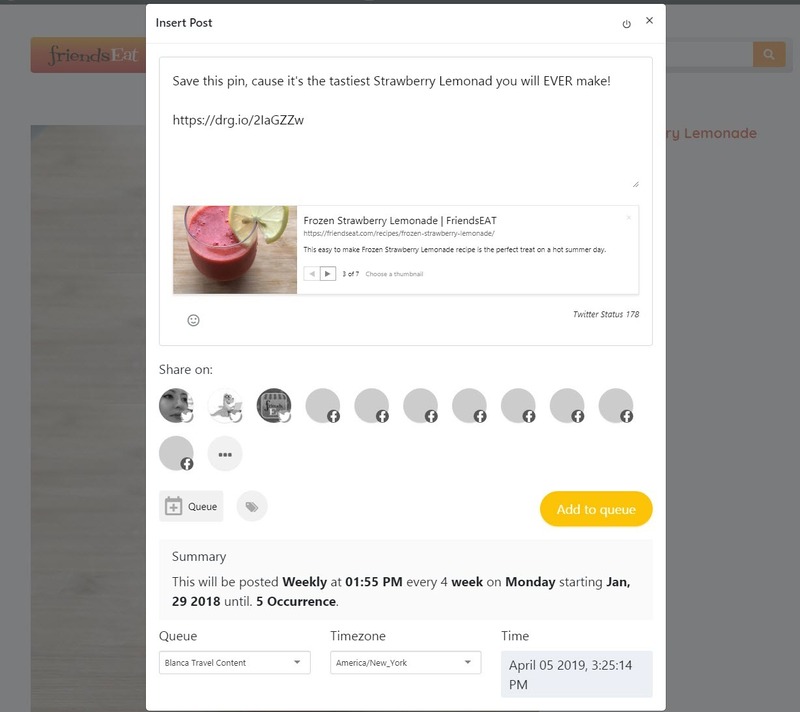 You can save time for other social media tasks by scheduling images to be pinned on Pinterest during the week and even on weekends with Socialdraft. With Socialdraft you can schedule your pins from anywhere, including your smartphone or tablet. Once you have signed up for Socialdraft, message us on support so we can get you set up. Read this Socialdraft tutorial to learn how to schedule your pins. 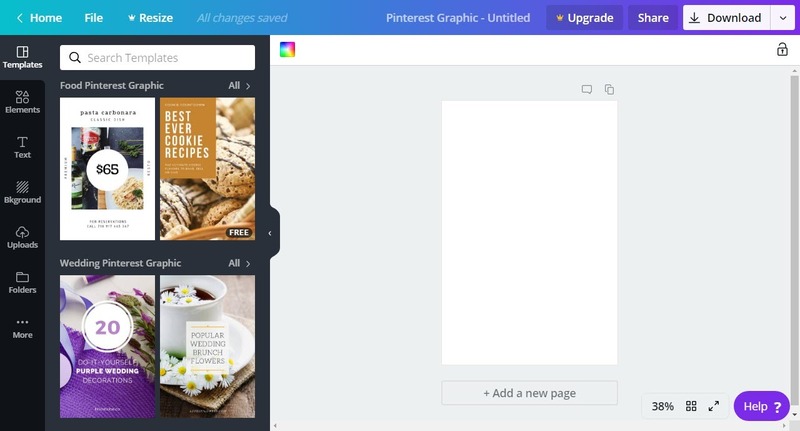 On Canva select the default Pinterest graphics layout and create your design. 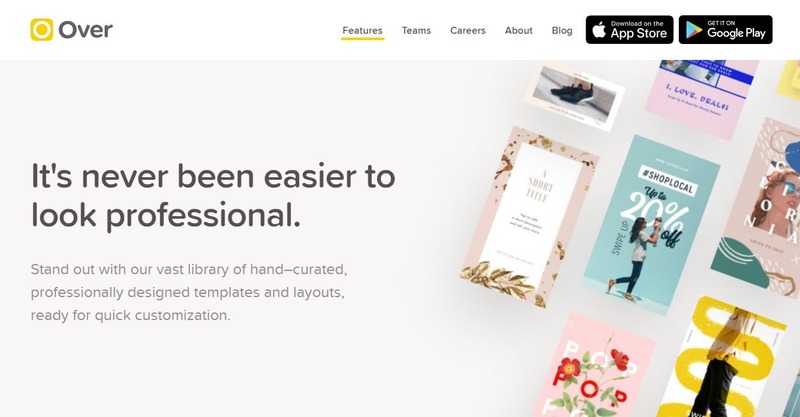 Canva has pre-designed text options as well as photo layouts and textured backgrounds. All of the editing tools are online. By scheduling pins you can reach your audience at the best times.Check Pinterest analytics and play around with times to figure out what works best for you. By posting images of potential new products on Pinterest, you can determine which products receive the most favorable responses. You can even study responses based on geographic location to forecast where and which items will sell. Pinterest is a web traffic powerhouse. Why? Those Pinterest stats are pretty significant. It means that if you are consistent on your Pinterest posting, and spend a little time engaging your audience, you can not only increase traffic to your website but also increase sales…that means ROI and a profitable business. Are you ready to get serious about Pinterest? Sign up for Socialdraft, this way you can schedule pins to the site & save time and hassle. How does Pinterest Scheduling on Socialdraft work? Scheduling Pinterest pins on Socialdraft is ridiculously easy. With Socialdraft you can schedule your pins from anywhere (even your smartphone or tablet). Scheduling a Pin to a Pinterest using the Socialdraft drag & drop calendar can be done in multiple ways. What does Socialdraft do besides Pinterest Scheduling? Set up team members with different permissions. Decide if a team member can post with or without approval. Schedule posts to Facebook pages, Instagram, Twitter, LinkedIn, and Pinterest. Schedule reposts from Instagram to all your other social networks. Ready to try Socialdraft? Take us for a risk-free trial today. Promoting your brand on social media involves managing several social media platforms. This can be a time-consuming task, but with the right tools you can save quite a bit of time. If Pinterest is one of the social media platforms you are using to promote your business, we’ve put together 20 Pinterest tools that will save you a lot of time (and check out our Pinterest board – we love to post quick tips & SMM news). As with every feature on Socialdraft, we wanted to make scheduling Pinterest pins easy-peasy. With Socialdraft you can schedule your pins from anywhere (even your smartphone or tablet). 1. Click the Pinterest Connect Button (it will be on top of your screen). 2. 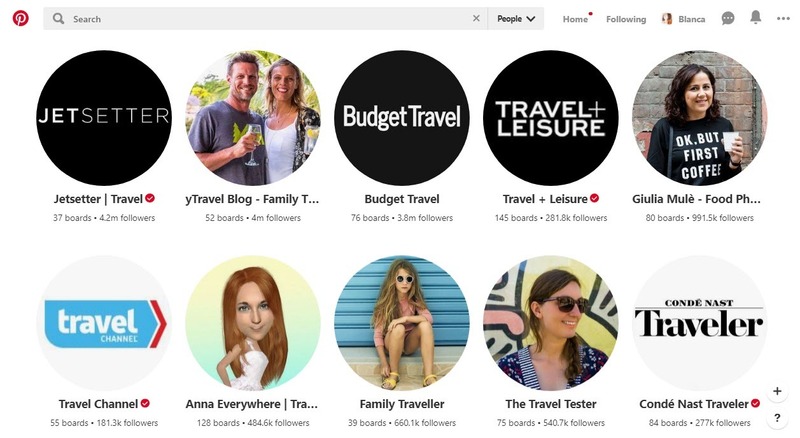 Agree for Socialdraft to manage your Pinterest boards. 3. The page will redirect to Socialdraft connection page with your Pinterest boards. Socialdraft also allows you to find beautiful images on our Instagram area and share them to Pinterest with a few easy clicks. Pic Monkey is a free image-editing tool — think of an online Photoshop lite — Pic Monkey can help you create just about any image you’d like, with any feature you might need. You can touch up and edit an existing image or create a brand new image from scratch. And perhaps my favorite feature of Pic Monkey is that you can get started without ever logging in or signing up; just click the “Edit for free!” link in the very top right corner. Piktochart’s interactive layouts allow you to build a complete infographic, embedding charts, photos, and more. 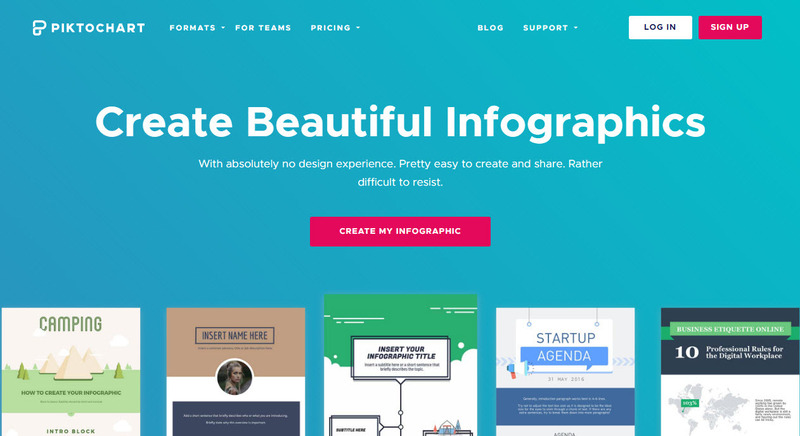 You can get started with a prebuilt template (and then customize yourself) or you can go truly bare bones and build the entire infographic however you see fit. Piktochart comes with a huge number of icons, shapes, and objects that you can easily add into your editor. The Over app for iOS and Android lets you choose any image and customize it with text, fonts, colors, and type sizes. It lets you change the color, and you can rotate the text. You can also add shapes. 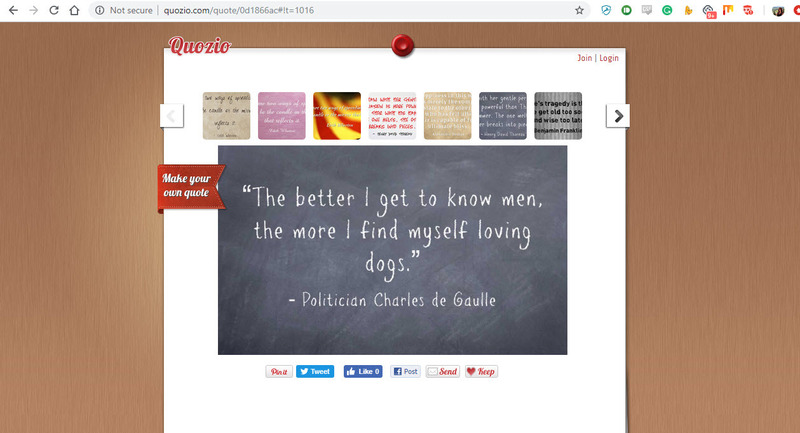 Just visit quozio.com and fill in your quote. Or get the bookmarklet which lets you instantly create an image out of any text you highlight on a web page. After you provide your quote, scroll through the various styles and find the one that best matches it. Then share with your friends. 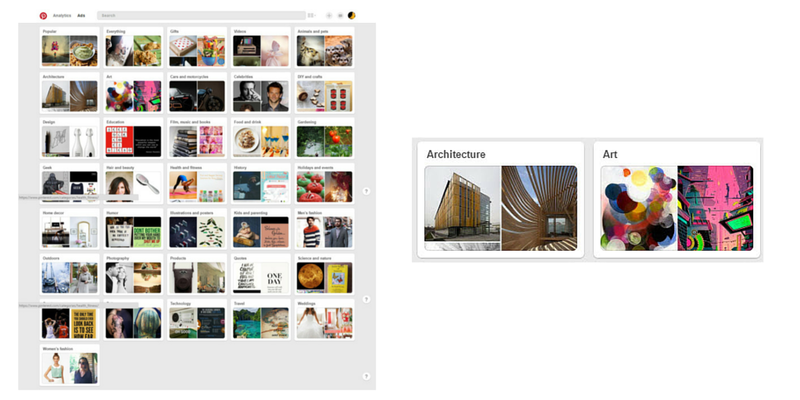 Page2Images will take the current browser page, snapshot it and send it to Pinterest as a new pin. You can also specify image size, device, screen size, and more. Share As Image lets you construct an image from text With customization options. With the Chrome extension, you can select text from any website and build an image based on your highlight. These five widgets from Pinterest allow you to integrate your Pinterest presence with your website. The five widgets are a Pin It Button, Follow Button, Pin Widget – lets you embed one of your pins on your site, Profile Widget – displays up to 30 of your latest pins on your site, and Board Widget – displays up to 30 of your favorite board’s latest pins. 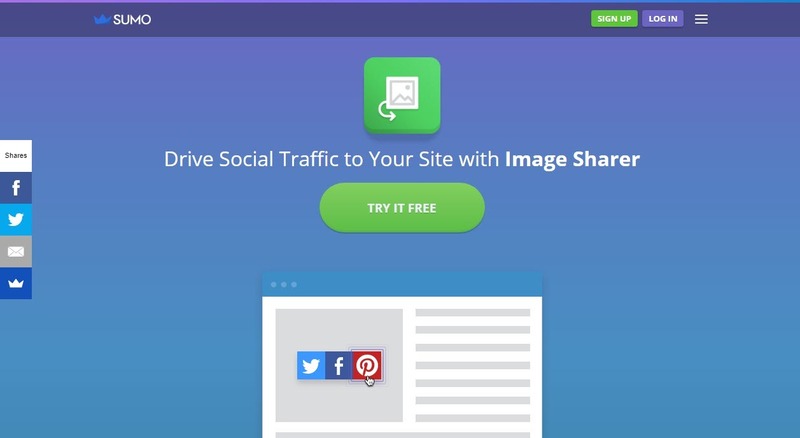 Image Sharer makes it simple for your readers to share the images on your site and link back to you, driving you viral traffic. When your visitors hover over your images to share them, you can pick exactly where the icons show up: in the middle, on the left, on the right, top, or bottom. 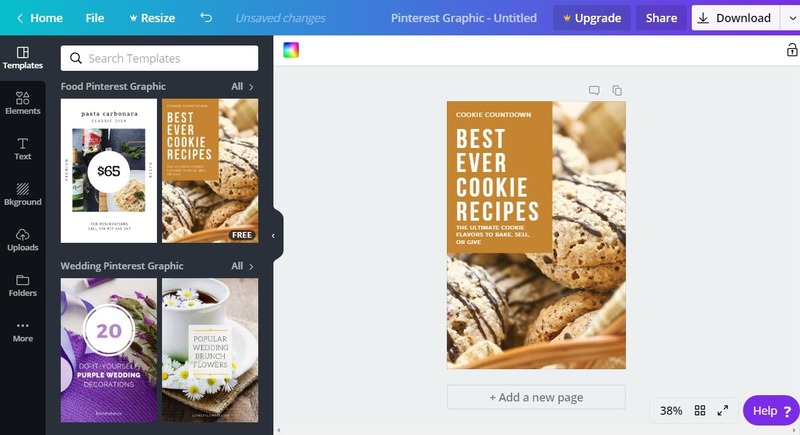 Use Canva’s drag-and-drop feature and professional layouts to design graphics. You can design presentations, social media graphics, and more with thousands of beautiful layouts. 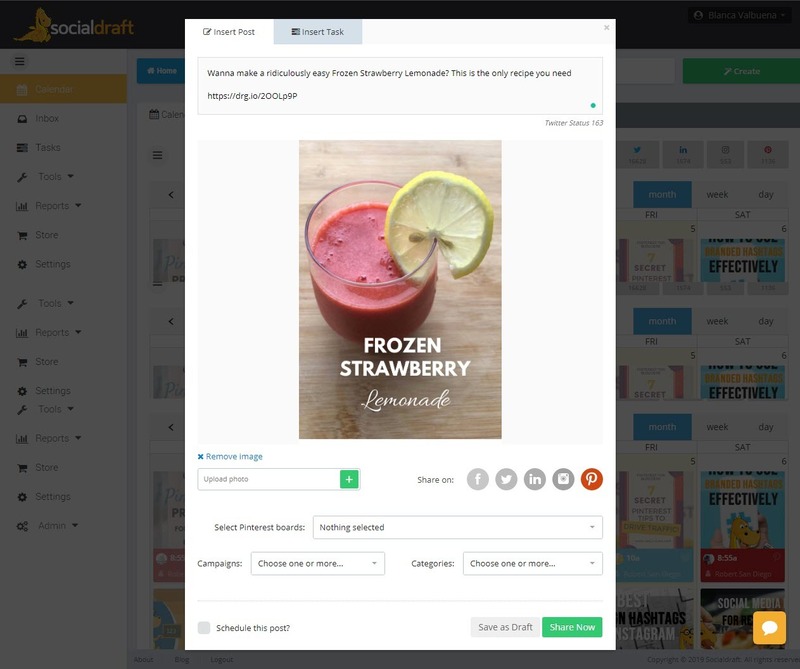 If you are looking for an all-in-one social media tool that works with Pinterest, make sure to check out Socialdraft. With Socialdraft you can schedule content to Facebook, Instagram, Twitter, LinkedIn, AND Pinterest. You can also schedule reposts from Instagram to Pinterest, pull reports for Facebook and Twitter, set different permissions and much more. Click here to sign up for your Risk-Free trial of Socialdraft. If you’re not marketing yourself on Pinterest, then you’re missing out. Pinterest is incredible at driving web traffic, especially for those who are marketing in the areas of food and beverage, home decor and repair, and anything creative. If you have an online shop, then Pinterest needs to become a priority if it isn’t already. These Pinterest Statistics for 2017 will help you better understand why you need to be on this Pinterest and give you a few tips so you can be more effective on the network. Looking at this solid growth and this very strong user base you should already be considering marketing yourself on the network. There are probably already people pinning about your brand or business on Pinterest. The main people go to Pinterest is to create collections of things that inspire them and to search for answers to problems, so when you create your boards, keep this in mind. More than 80 million Pinterest users currently reside outside the USA. This means that more than half of Pinterest users are international. On top of that 75% of the new people who are signing up are from outside the USA. This means that if you are an international brand, you have a place where you can reach a global audience. This also means that you need to keep in mind what your business demographics are an implement a Pinterest strategy for your social media calendar that fits the audience you are marketing to. This includes time zones, cultural appropriation, puns, etc. Currently, 84% of Pinterest users are browsing the network on smart phones, tablets, and on their computers and laptops. 75% of these people are browsing on their mobile devices. This means that when you create your content, you need to consider how it will look on Pinterest mobile. Is the font clear and easy to read, are the images too small to see? There is a second thing you need to consider here. People are also browsing before going into local businesses. Your customers are doing research before they shop, they are checking prices and reviews to make sure that you are offering them a fair deal. This means they are young, but not too young. 67% of Pinterest users are slightly younger than 40. What does this mean, this user has disposable income and are willing to shop. Keep their needs and desires in mind and look at analytics on your website to see what content already interests them, it could work on Pinterest as well. The percentage of men on Pinterest has grown 120% from last year. This means that Pinterest is no longer just for women. 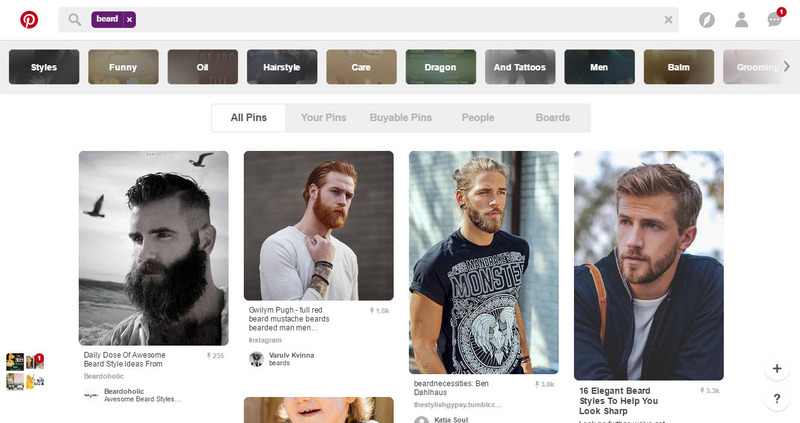 Men are currently the fastest growing demographic on Pinterest. This probably has something to do with Pinterest’s new and improved search which allows us to filter by gender. It is reported that 87% of Pinterest users have bought stuff because they saw it on Pinterest. Are you going to let this opportunity go by? If you are not active on Pinterest you are seriously missing out. On top of that, 93% of Pinterest users use the site to plan out purchases. Are you still not convinced? 47% of pinners discover brands on Pinterest as opposed to other social networks. Yup, 72% of Pinterest users check out the site to figure out what they want to buy offline. This means that if you are a local shop, you can increase in-store sales by promoting on Instagram. People don’t follow Kim K on Pinterest, that’s what Instagram is for. Currently, 83% of Pinterest users follow brands over celebs. This is especially good if you are selling something. More than 5% of traffic to websites is driven by Pinterest. This seems small, but it is quite significant. Facebook is the only other network that drives more traffic to websites at 25%. That means that between the two, they are creating 30% of website traffic. Pinterest is currently the 2nd highest referrer of traffic to Shopify stores. Pinterest works when it comes to driving traffic. Remember when we discussed that Pinterest users are right below the 40 year mark. They also happen to be 9% richer than non-pinners. Just think about this power, with Pinterest you can push your items and services at a fraction of the cost of traditional advertising, and all you have to do is be active on the network. Promoted pins result in a 7x higher spend compared to traditional marketing. These promoted pins look like regular pins, but they include information that drives sales. Pinners are on the network to shop and they react by spending more when you make it easier for them. Interestingly enough, pinners who see promoted pins are 40% more aware of the brands and products they see and they report that they are 50% more likely to make a purchase. Even better still, 70% of sales that come in from Promoted Pins are brand new customers. This means that they have discovered new brands and completed a buy. You can use Socialdraft to schedule pins to multiple boards on Pinterest. You can even assign certain boards to your team members to split up the work. If you’ve just hired a freelancer, intern, or VA, you can set up their account so that they can schedule content, but it must be approved by you before it publishes. This is all on top of all our other features such as Facebook scheduling (to accounts and pages), LinkedIn scheduling, Instagram scheduling, Twitter Scheduling, reporting, our all-in-one inbox and our amazing Instagram engagement tools. Truth be told, it is a lot easier to market on social media than a lot of people make it out to be. Sure, there are a lot of landmines that you need to avoid in order to have consistent success on social media – but that’s true of any marketing medium. You need to keep your head on a swivel when sending out direct mail, advertising on television or on the radio, and even when you’re using local advertising messages and mediums. But, for one reason or another, people have a really difficult time when it comes to social media marketing. Maybe it’s because this medium is completely driven by your market, your prospects, your customers, and even your competitors, so there is a lot less control than in more traditional channels. Thankfully though, we are going to break down Pinterest Marketing for you so that it becomes simple and straightforward. This guide will make it easier to get all the results and return on investment that you have been hoping for. Think of this as the Pinterest marketing complete guide, a companion for Instagram Marketing 101 – everything you need to know to dominate online today. A lot of otherwise smart and savvy individuals make major mistakes and big blunders on social media and marketing in general when they try to make moves, create new campaigns, or leverage new advertising opportunities without first understanding EVERYTHING about their target market. Now you need to know who is using Pinterest. Here are a few interesting statistics, but if you want to learn more, click here for our in-depth look at Pinterest demographics. It is fun. It’s a delight to discover things, to categorize things, and to visually entertain the mind. They like sharing with family and friends. They’re using it for planning purposes. Think of all those brides to be. They keep track of dresses they like, cakes, toppers…you get the idea. To save how to’s: Pinterest is a great place for those of us that are crafty. If you ever hop on this social network, you’ll be bombarded with how to’s and crafts. Build links to our websites & get clicks from Pinterest users. Use Rich Pins – you will find more info on this later on in this post. How Often Should I Pin on Pinterest? You should be pinning daily, and you should be pinning more than once daily. When you do pin, don’t pin all your pins at the same time. Instead, schedule your pins using a system like Socialdraft so that you can space your Pins throughout the day. You don’t want to bombard your audience with a ton of content all at once. While there are 100 million people using Pinterest, they aren’t all going to become your customers. You need to think very carefully about who you want to reach so that you can build your Pinterest strategy around them. Lists: People love lists. Why? They are easily digestible AND they usually solve a problem. Wouldn’t you want to click on “10 ways to increase your Facebook engagement”, or”5 easy exercises to tone your arms”? Educational Pins: These pins are to be used by you to educate your potential clients, customer or audience on your product. Shareable Pins: These pins are there to get you more reach, they should be impactful, fun, and encourage repinning. Rich Pins: These are special pins that give your audience more information on products and services. We will discuss this later. Boards are simple. These is the place where you will save your pins, be they images, videos, or links. Your boards should have a cohesive subject and portray the identity of your business. The type of boards you create are up to you. You can create boards on travel, tech, fashion, or anything else that you can imagine. It may sound simple, but since you are on Pinterest to market your brand or business, you need to cater your boards to your audience. If you are a food blogger, don’t create a cat board. This does not help your brand or your ROI. Instead, check out the types of boards your ideal customers are creating and take inspiration from them. The example above is quite simple. 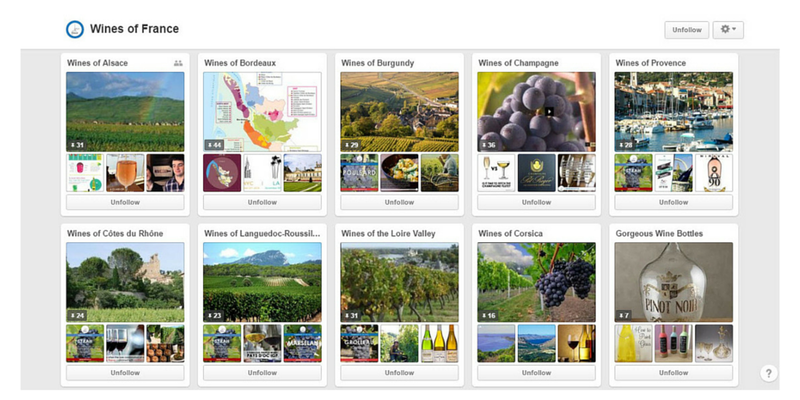 Wines of France created SEO minded boards for each of their regions. This very clearly tells their audience what their boards area all about. It’s really up to you, but keep in mind that a Business Pinterest account is here to entertain its audience. You most likely won’t be able to do this with 1 board. Start off by creating 8-10 boards that are all related to your business. Think about your branding and how you can portray this with each of your boards. You can take one of two approaches to naming your boards. Test both out and see what works better for your particular brand. If you want, you can even create very similar boards, name each with one of the techniques and see which does better for you. Bloggers We Love – A great way to get the blogging community involved with the brand. Also adds value to their Pinterest board. 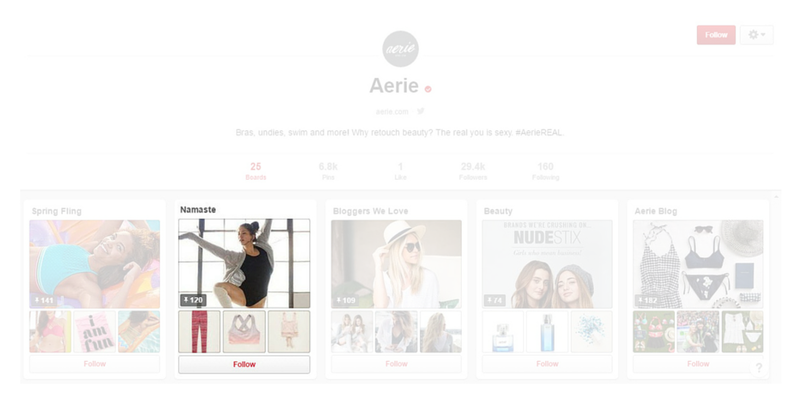 Aerie Blog: This type of board further strenghtens Aerie’s brand. Pinterest also allows you to create secret boards. You can then invite only certain people to Pin with you on this board. Create secret board for your already customers where you offer discounts. There is a reason Pinterest is called “Pin”terest. It is a place where you pin things that interest you by categories. Pins are visual bookmarks. Once you click on a pin, it will redirect you to the site where it came. So basically, you store weblinks on Pinterest by using images and videos. It’s that simple. There’s no right or wrong answer to this, but the idea is very similar to the board number idea. You don’t want to bore your audience, so start off with 20-25 pins per board. This way your audience will not get bored and leave when browsing pins on your boards. You also don’t want to go too crazy and give people too much to scroll through, so keep the maximum at around 100-150 pins per board. You don’t want small pins. You want tall beautiful pins that take over a lot of real estate. This will increase your click through. You can create custom pins on Photoshop, but I find Canva to be extremely easy for this (besides, it’s free). If you do make these custom pins, make sure to edit the url so that the pin redirects where you want it to (the video above is a quick tutorial on how to do this). Just like Instagram, your pins need to always communicate your brand voice. Before you begin to Pin, think about how your brand needs to be viewed by your audience. This includes the aesthetics as well as the types of pins you will post. If your company already has guidelines for branding, use these. If not, then you need to create one. There should be a consistent feel across your website, printed materials, and your social networks. That does not mean that you’re pinning the same content on Pinterest that you’re posting to Facebook or Instagram. Content for Pinterest should be unique and designed for that audience. These are absolutely fantastic. These pins are not like the others. They let business accounts give their audience more information about the items and services that have been pinned to their boards. Rich pins aren’t available to everyone, you need to apply for this feature. App – These pins have an “install” button so that people can easily download your apps right from Pinterest (iOS only). Movie – shows ratings, cast and reviews. Recipe – show ingredients, cooking times and serving information. Article – these give a headline, author and story description so that people are enticed to click through to the article. Product – shows pricing information, availability and where to purchase. Place – These show a map, address, and phone number (awesome for local biz & travel). Go to your account settings and connect your account to Facebook, Twitter, and Google+. This is especially good if you don’t have time to be active on all social media accounts…but be warned, best practices dictate that you have a separate strategy and different content for each network. The Pin It Button: Add a “Pin It” button on your site. This makes it easy for people who stumble onto your website to pin your content to Pinterest. The Pinterest Icon: Make sure that there is a Pinterest icon where you keep all your other social media icons on your website. Pin colorful images that demand attention. Studies show that warm tones (red & orange) get twice as many repins than those that have cool tones (blue). Tall images do better than wide images. It’s pretty obvious since they take up more real estate. Yse pins that are 735px (and make them as long as you want). Name your images before you upload them. Pinterest uses these as the image title, so think SEO when you’re naming your files. Check the links after you pin. Pinterest doesn’t add a link when you manually upload, so make sure you are adding that link after. Don’t go crazy with hashtags. Never pin ugly or low quality images. 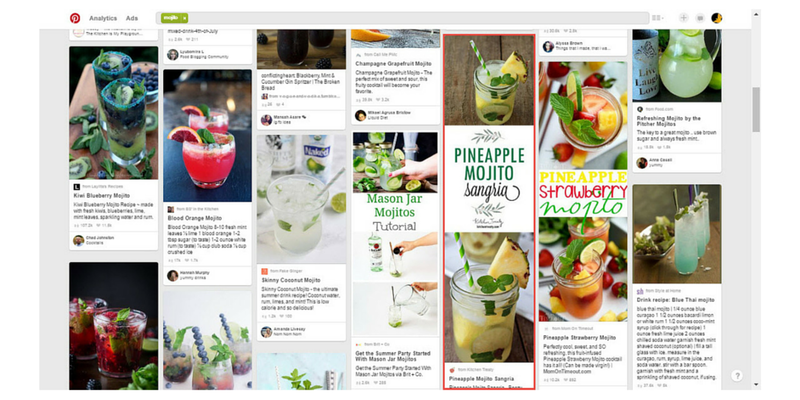 Pinterest offers native ad units called Promoted Pins which you pay to have seen by more people. If you’re interested in promoting pins you can use the Pinterest Ads Manager. With the ads manager you can create, edit, and manage promoted pins, but you can only promote pins from your profile, and you need business account. The 1st step is to create a campaign so you can create start and end dates and manage your budget. 1) Click on the (+) button and select create ad. 2) Choose a campaign goal to determine how your pins are delivered. The 2nd step is to pick a pin to promote. You can only promote pins that already exists on your board. You can search for your most clicked or repinned pins in the last 30 days. You can also search for pins you want to promote by URL or keyword. Buyable pins, video, GIF, and App Pins are not eligible for promotion. You can only promote content you own, and you can only promote pins that link back to a website. Edit a Promoted Pin by clicking on the pin you want to edit and then click on “Edit a promoted pin.” You can also ad more pins to an existing campaign. The 3rd step is to add more details. 3) Include targeted interests to reach based on their interests. 4) Keywords: Reach your audience using targeted keywords. 6) Languages: default to all languages. 9) Choose a maximum bid per desired action. The 4th Step is to Send promoted pins for review. Your Promoted Pins are then reviewed for ad policy guidelines before you set up for billing. At the end of the day, you are going to have to write your own manual for social marketing to fit your brand. These tips and tricks are here to help you get started on your Pinterest adventures. If you work the system it will work for you. And don’t forget, consistency is key…so schedule your Pinterest pins on Socialdraft so you’re active daily. This is how you win when it comes to business these days! With every industry growing more and more crowded with competition, it is vital for business owners to cope with the latest trends in order to make the most sales and profits. Gone are the days when a marketing strategy involved nothing more than handing flyers and free samples – today, it’s all about digital marketing. A good digital marketing strategy should put several online resources to use, especially if you want to make the most of your online marketing efforts. These days, social media websites are the most common tool of the trade for digital marketers because they offer a wide user base and relatively affordable (often free) features and functions unavailable through other marketing options. Among the most effective social media sites used for digital marketing is Pinterest. Pinterest is particularly good for services and products serving women since 85% of Pinterest users are women. On top of that, 5% of Pinterest users have purchased something on the platform or because of the platform. Those are some pretty staggering numbers, especially if you have an online shop. I bet you’re wondering how you can get more clicks on your Pinterest pins so that you can make more money. Read on and follow these tips for getting more clicks on Pinterest, and if you want a fuller view into Pinterest marketing, click here to check out our complete guide. Who wants to see a board full of poorly selected images? One of the things that makes Pinterest an effective social networking site is that majority of the content published on the platform is made up of appealing images and photos. Many Pinterest users expect to see visual stimulating and pleasing posts, so you need to make sure that the images you choose for your posts are worth taking a look at. This means that the image provided by the site you’re pinning from may not be the best image for your pin. You can source images on the internet through free image hosting websites or better yet, take photos of your own. You can also use services such as Canva to edit your images. Just remember to edit the link once you’ve pinned your custom pin to Pinterest. Landing pages are called such because this is where your prospects will “land” or arrive if and when they choose to click on your advertisements. That said, you should make sure that the purchase process started by your Pinterest post actually goes further by optimizing your landing page to urge prospects into availing of products or services. Your landing page should offer more information about who you are and why your products or services are necessary and superior to others offered in the market. Basically, you can have the most effective pin on the planet, but if your landing page is not properly set up, there will be no sale. Pinterest allows users to make use of a large number of keywords (150 to be exact) but that doesn’t necessarily mean that more is better. When it comes to selecting the keywords for your post, it’s vital that you choose the ones with high relevance to your consumers. How exactly will you be able to pinpoint those keywords? The first step to understanding what words to use lies in knowing who you’re trying to appeal to. By finding out who your target market is, you will be in a better position to understand what they’re likely to search for. Some markets will respond better to a simple description, others will have to be wooed into clicking. Pinterest has designed its layout to favor mobile viewing, and that translates into vertical scrolling. As a result, thin and long images are more suited in this layout (around 735 x 1000 px). Just look at the example above. The Pineapple Mojito Sangria pin takes up the entire length of the computer screen. This means that people will be more likely to click through and that the images frame the title as well. This change alone will significantly increase click-thru to your website. Using longer, more detailed descriptions under the pin will not only increase your chances of your pin being shared by others, it has a better chance of showing up in search results. 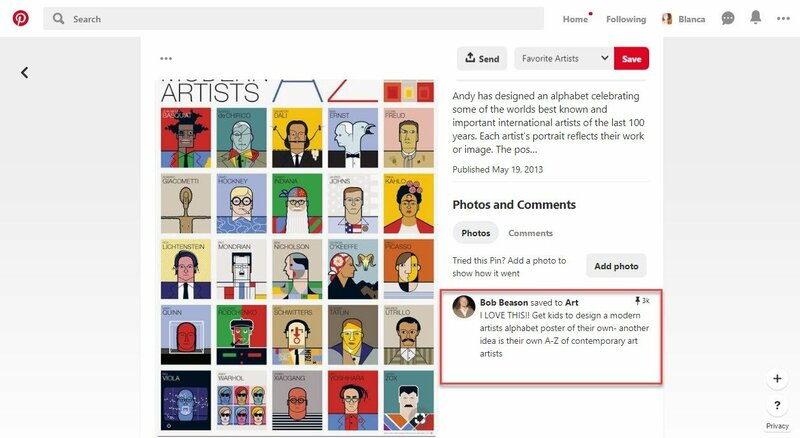 One of the latest additions to Pinterest is the introduction of Rich Pins which include more information about pinned images and the integration of the Pin It button with mobile apps. Rich Pins are Pins that include extra information on the Pin itself. There are 6 types of rich pins: app, movie, recipe, article, product and place. From your feed, you can tell when a pin has more information by the icon that appears below the picture. Pinterest will also update all of your old pins so they’re more useful. People are more inclined to pin images from your blog using the official Pin It Button which will increase the likelihood of your Pins appearing in search results. Be sure to check that your Pins link back to your intended image or video or the Pins links will be bumped. The excessive use of too many hashtags included in your descriptions will dilute your ranking. Just keep in mind that each time someone is on your pin, if you have too many hashtags, you are giving them more chances to leave your pin and NOT click through. On Pinterest, hashtags have the complete opposite effect than they do on Instagram. One thing that is key to a Pinterest strategy is to be active on a consistent basis. Of course, you could log onto Pinterest daily to pin and pin haphazardly, but this will not allow you to properly plan. On top of that, there will be emergencies like when you get sick. One big piece of advice is to stop flying by the seat of your pants, start planning and scheduling. With Socialdraft you can schedule not just to multiple Pinterest boards, but to Facebook pages, Instagram, LinkedIn Business pages, and Twitter accounts. This means that you can save tons of time just by logging into the dashboard. Use a Robust Social Media Management Tool. Socialdraft is a social media tool that will help you manage the most important aspects of social media. You can schedule posts, work with team members, pull reports and much more. Take Socialdraft for a risk-free trial and get to know all its great features today. Success with social media marketing is a lot easier than most people make it out to be – if you know what you’re doing in the first place. But that’s where most people drop the ball. A lot marketers, advertisers, and business people try to use social media for their businesses in the same manner as their personal accounts, and that just doesn’t “cut the mustard”. You aren’t going to make any money on Pinterest (or any other social media platform) without taking the marketing channel seriously, doing some research, and implementing things properly. Thankfully, we can share with you some inside information that will help you unlock the secret to driving web traffic from Pinterest. With the help of the following tips, you’re going to be able to channel the power of one of the largest social media platforms on the planet with more than 100 million users. The first trick to driving web traffic from Pinterest is that you’re going to need to understand your market and demographics – that’s why a lot of people struggle on this platform to begin with. You have to understand absolutely EVERYTHING about your target market. You need to know who they are, what they are interested in, what kinds of pins they already have on their own Pinterest accounts, and what kind of content today are going to be most excited about. Create a “persona”, start off with who you think your customer is. Then, head to Google Analytics and see if you are right. Chances are you are at least wrong on a few things. When you understand your market to this level you’ll be able to effortlessly create marketing components and campaigns that allow you to unleash all of the leverage that web traffic from Pinterest as to offer. Without understanding your market, you’ll be flailing around and just adding to the noise and confusion like most others already are. A lot of people try to figure out how to get clicks to their website from Pinterest with “one shot” advertising and marketing campaigns, but that’s just not going to work. Pinterest users are very savvy, very smart, and very guarded when it comes to marketing on the platform. You don’t want to send them directly from your opinions to your sales page, but instead send them to another piece of killer content that slowly introduces the sales material. 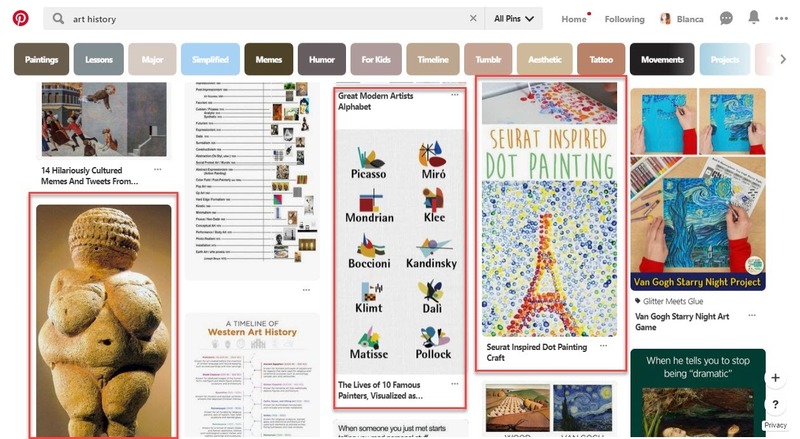 Another of the best secrets you’re going to want to use to drive web traffic from Pinterest is taking advantage of the “rich content” options available on the platform. Load up all of your pins with this extra content and you’ll be able to convey a big chunk of your marketing and advertising in a single pin – speeding up the conversion rate and helping you boost your sales figures across the board. Every advanced marketer worth their weight in gold understands the value of including Call to Action (CTA).You cannot just assume that your Pinterest prospects are going to take the necessary steps you need them to in order to become your customers, but instead need to explicitly outline for them what you’d like them to do next. This is a big piece of the puzzle people forget when trying to get clicks to my website from Pinterest, but it’s one that will unlock a significant amount of wealth for you. There are a lot of people on Pinterest who tried to get away with text rich posts on the platform, but you’re going to want to shy away from that as much as possible. Pinterest is, first and foremost, a very visual medium and you’ll need to unlock everything that photos and short videos have to offer on Pinterest. Sure, you might want to include a little bit of text on your images – or sprinkle a couple of text only posts on your page – but you don’t want to go text heavy. Save that for other pieces of your marketing funnel! You can’t drive traffic to your website from Pinterest unless you pin. You need to do this daily to keep your content fresh on the feed. 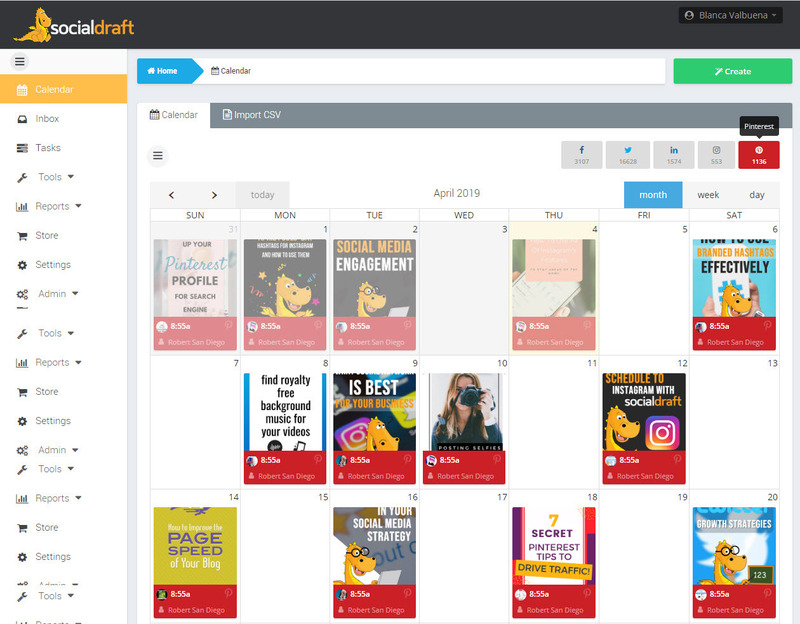 Lucky for you, you can now schedule pins using the Socialdraft drag and drop calendar. Just check out how easy it is in the video above. Photos with people are more successful on Pinterest than graphics. When you add the Pin It button to your site, your customers can save things they like onto Pinterest, which means more people can find it.With a Pin It button. 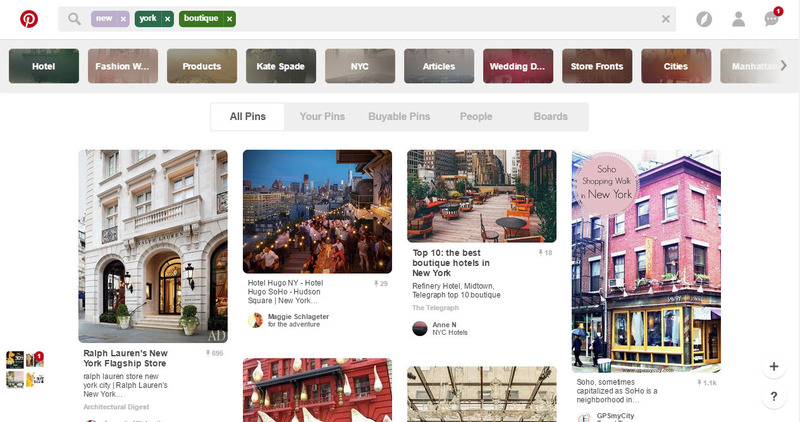 When you pin to group boards, your pins are accessible to a much larger audience. But be selective on the boards you choose to pin on and check out the quality of their pins. Including a link in your pin’s description can help drive more traffic to your blog or site. Increase engagement by pinning regularly, by commenting on other pins, and by repining content relevant to your business, as well as content from influencers. With Socialdraft you can schedule pins in advance, and schedule pins at different times. Remember that each pin is another link you’re adding to the most effective social network for driving traffic, so you want to make sure that you’re active on the network on a daily basis, multiple times per day. Besides, you don’t want to just publish every pin at the same time, sprinkling them throughout gives you a better chance of having more people see, share, and click on your links, so make Pinterest a consistent time of your social SEO strategy. It has never been easier OR more difficult to own and operate your own business than it is today. The web has completely transformed the way that we all do business. Now, for the first time in human history, it’s possible to start up a global operation with nothing more than $15, a domain name, and a vague idea and be competing directly against some of the biggest businesses on the planet. This is a double-edged sword, however. On the one hand, since it is so easy to build your own business, you are going to be able to do so without too terribly much risk and without too terribly much danger. On the other hand, because it is so easy, EVERYONE else (and their brother) is going to be building their own business as well. You are going to be up against some pretty stiff competition! Not just established companies, but newbies just like you. That’s why you need to unlock the leverage that social media has to offer, especially when it comes to Pinterest. One of the most popular social media platforms on the planet, the overwhelming majority of people on Pinterest are women (close to 80%), and 70% of those users have purchased something either directly from Pinterest or because of Pinterest. Social media has opened up marketing and advertising opportunities that never existed previously. With social media, you’ll have the chance to dominate your market without having to spend a lot of money on marketing – as long as you are savvy about how you go through the process. HOW do you make money on Pinterest? Unfortunately, Pinterest recently banned making money from affiliate links. Previously, affiliate links earned money when users clicked on your specific link to a product and made a purchase. If you are what is known as a “Pinterest Power User”, a Pinterest competitor known as Keep has launched its own affiliate program. Although Keep’s Influencer Program is by invitation only, you can fill out a short application to see if you qualify. While affiliate links no longer are a source of revenue on Pinterest, several brands are active on Pinterest and some are in search of people to run their social media marketing campaigns. Pinterest claims there is still ways to make money, such as being paid to curate a board or participating in paid social-media marketing from a board, which involves Pinterest. An experienced crafter can find countless opportunities to learn via Pinterest, and Pinterest boards offer boundless ideas and inspiration. You can sell your own products using “buyable pins“). You could also consider creating contests to sell your own products on Pinterest. To sell your brand, create Pinterest boards that attract an audience and followers, then create a mailing list. 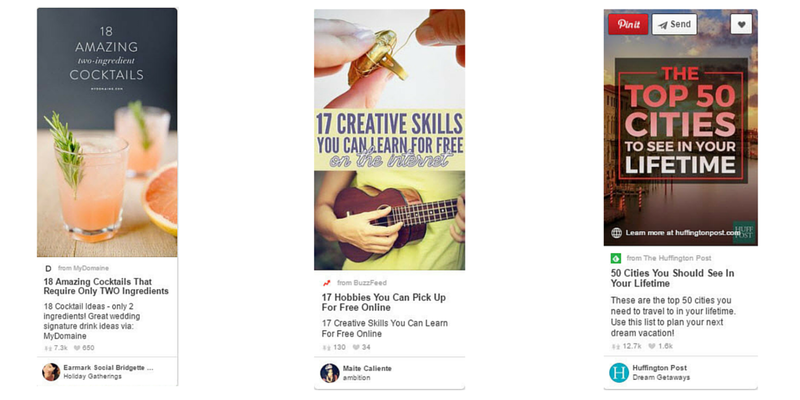 Once you’ve established a track record of using Pinterest successfully, you could also make money by teaching your strategies to others via e-books and courses. For more ideas on how to make money on Pinterest, check out this article titled “29 Smart Ways to Make Money on the Side in 2016”. as well as this Money-Making Ideas board on Pinterest that has over 100K followers. This type of Pin lets people find and PURCHASE your products on Pinterest. After a merchant is approved for Buyable Pins, Pinners will see Pins with a “Buy It” button that links back to the merchant’s store. When a Pinner chooses to buy a product on Pinterest, order details and payment information are sent to the merchant for processing. Buyable Pins are only available to a select group of retail partners and U.S. merchants with Pinterest business accounts. 3) Apply for Buyable Pins (Shopify), purchase the Creatuity plugin on Magento or sign up for the waitlist on your e-commerce platform. (Demandware, Bigcommerce and IBM Commerce). If you are a Shopify store owner, there is a free app called ShopConnection, it works not just with with Pinterest, but Tumblr, and Fancy buttons and makes it much easier for your community to shop. 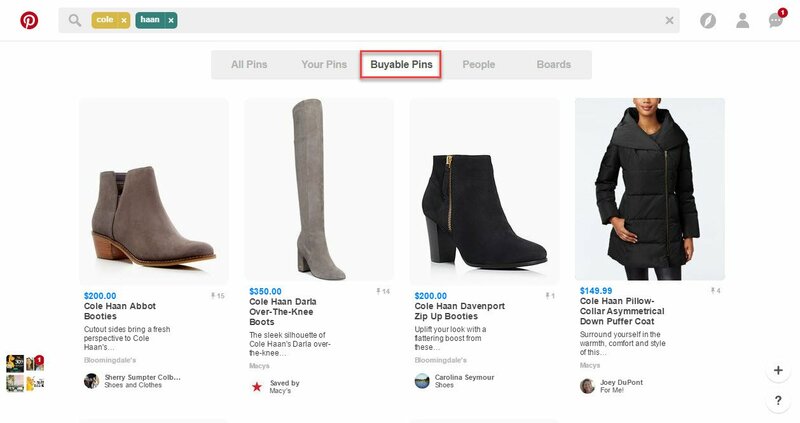 You can use the Pinterest sales channel to add Buyable Pins to your products on Pinterest. This lets customers in the U.S. using the Pinterest iOS or Android app purchase your Shopify products directly on Pinterest with Apple Pay or their credit card. 3( Manage Pinterest orders easily with other active sales channels in your Shopify admin. To get started, make sure your store meets Pinterest’s eligibility requirements, add the Pinterest sales channel in Shopify, and then connect your accounts. Products must meet Pinterest’s product requirements before they can be Buyable Pins. Pinterest has the potential to completely transform your business, pushing hundreds of thousands or even millions of visitors to your website, to your sales page, and to your online store each and every month for next to nothing – so long as you know a couple of tips and tricks about how to get customers from Pinterest in the first place. Remember this – close to 100,000,000+ people log into Pinterest each and every single day. Each and every single day. On top of this, 60% of them are located in the United States, and the other 40% use English almost exclusively as their main language of communication on the platform. Combine that with the fact that close to 70% of all users on Pinterest have either purchased something directly from the platform or because of something that they saw on Pinterest, and you are talking about a digital gold mine. Ignoring all of the leverage that Pinterest offers would be a major mistake. Here are a couple of tips and tricks to help you figure out exactly how to get sales from Pinterest without any real extra effort whatsoever. There are lots of different things you can do to figure out how to get customers from the interest, but there are roughly 7 different things you can do to dramatically improve your results and give you a significant boost as far as your conversion rates are concerned. We are going to break down those seven details in this quick guide below. Significantly better than traditional pins that you can upload to Pinterest, rich pins and rich content is going to include a lot of extra information about the subject matter right inside that. You’ll be using this “container” to include all kinds of sales and marketing pieces and material that traditional pins never would have allowed you to. Quality is always going to be the biggest determining factor in whether or not you’re able to convert your visitors to customers on Pinterest, and you have to make sure that you never get lazy. Always post the highest quality content you can, really try to share unique and new pieces that no one else has access to, and always look for ways to rise above the crowded space that is Pinterest in the first place. If you’re not the strongest when it comes to design, this article we put together will help. Also keep in mind that tall images do better on Pinterest, and that images without faces do best. In business, there is a real temptation to want to aggressively market or advertise the utility or the functionality of the product or service that you are selling. This is a major mistake. It is especially deadly on Pinterest, a website that is very much “lifestyle marketing”. You want to sell the intangible, the experience, and the lifestyle that your products or services offered. This is smart and savvy marketing, advanced marketing plan the best way to learn how to get customers from Pinterest. This means you should stick to the 80/20 rule – keep at 20% promotional. This tactic will keep your audience coming back and clicking through on your pins. This equals conversions. You would have to be at least a little bit crazy to try and buck any of the trends that are happening on Pinterest at any one particular point in time. Instead, you’re going to want to figure out what’s popular right now and jump on board, riding that wave of popularity to incredible success. You may have some trepidation about becoming a “copycat”, but as long as you are posting quality information, quality posts, and looking for new and creative ways to attract visitors, you have nothing to worry about – and will be certain to be giving your market everything that they are looking for in the first place. There isn’t a single person on the planet that doesn’t love the idea of a contest, and it’s one of the best ways to get your hands on a red-hot mailing list of excited and eager prospects that are looking for the kinds of things that you have available for sale. Make sure that you were smart and savvy about the contest (and that you have something premium to offer), and you will be able to make a tremendous amount of money on the back end by learning how to get customers from Pinterest with all of your contests. You can use Socialdraft SmartID to find influential people who have already engaged your audience. Since they are already engaged with your brand, they have a higher chance to convert. SmartID even tells you why they are influential AND will give you their Pinterest profile. So don’t wait for customers to go to you, go to them, like and re-pin their pins. This will put you in front of them instead of your competition. Pinterest has enjoyed explosive growth, and has quickly established itself as one of the biggest, most popular, and truly dominant forces as far as social media marketing is concerned (just check out these facts and figures and you’ll really understand why Pinterest is so important). An almost entirely visual medium, absolutely everything about Pinterest has been potential to help small businesses (and large businesses) create the kind of marketing platforms that they never would have had access to previously. Of course, you have to be smart and savvy about using Pinterest for business marketing. The people that use this platform aren’t exactly all that excited about being “marketed to”, and unless your content is as invisible as possible – in that you hide your sales and marketing messages in native content – you’re never going to have the kind of success on this platform that you’re hoping for. On Pinterest you sell by “not selling”. Hopefully with this quick guide we are going to be able to show you exactly why you want to use Pinterest for business and how to use Pinterest to grow your other social media networks. Because Pinterest currently has close to 100 million users on the platform right now (with millions more signing up every month), you’re going to be able to push a ton of targeted traffic to your online sites, your online properties, and even your other social media networks to give you the kind of combined leverage you need to make a dent in the world of online business. Make no mistake about it. We live in the middle of the most competitive business environment in human history. Unless you are able to rise above the noise, the confusion, and the clutter, you’re never going to be able to build the kind of business or financial future that you’ve always dreamed of. But when you tap into everything that Pinterest has to offer, and really start using Pinterest for business marketing, everything changes! As mentioned above, the biggest benefit of using Pinterest is that you’ll be able to gain immediate access to close to 100 million users (85% of them being women, and close to 60% of them purchasing things that they’ve seen on Pinterest). We are talking about a HUGE amount of people. If you are selling anything, this is where you can find your customers, especially if your product is geared towards women. There may not be an easier way to get your marketing and advertising out in front of this many women that are ready, willing, and excited to purchase products and do a little bit of online shopping. Combine that with the social proof and influence that popular Pinterest “boards” provide, and you’re going to be able to skyrocket your online success with only a little bit of extra effort on Pinterest. On top of this, Pinterest drives tons of website traffic…and for a very long time. So if you are looking to drive traffic to your website, Pinterest is the social network to do it. But if you are going to be using Pinterest for business marketing, you need to use it intelligently. Many people out there simply post on Pinterest hoping for the best but never really giving any thought or consideration to the content that they are putting up. Then they are surprised that they aren’t having any real results! Of course, you aren’t going to take that approach, are you? Color: Studies have shown that images with multiple dominant colors get more repins. More then twice than images that just have one dominant color. When you experiment, begin by testing out two colors, then three and figure out the sweet spot for your clients. Use Optimized Sizes: Small images get lost in Pinterest. Make your images BIG. Start off with 736 pixels wide. Also, remember that taller, vertical images get repinned more than horizontal images. Keep things “Objective”: Studies also show that things (not people) get reppined 23% more. So this is a perfect platform for you to showcase products. Include a Call to Action: Make sure to include a call-to-action (click for more details, click to learn more, repin this recipe) right in your pin description. Posts that include a call to action have 80% increase in engagement than pins without. Check your Pin Links: As seen in the video above, you can edit the links to your pins, so take a few seconds to think about where you want to drive traffic to on each pin and edit the pin to redirect to this location. At the same time, you need to be sure that you are using Pinterest for business marketing on a regular and consistent basis. Create a Pinterest posting schedule for your business and then stick to that posting schedule religiously. Maybe you are going to post new content to Pinterest every Monday at 9 AM local time, and maybe you are going to post new content to Pinterest every day of the week at 5 PM. It really doesn’t matter WHAT you’re posting schedule is as long as you stick to one that your followers are going to be able to rely on. If you are not present on Pinterest, your competition is. This is a network where you need to be constantly present pushing out content and engaging your community. Finally, you need to make sure that you are leveraging interest to grow all of your other social media accounts. Connect all of your social media accounts to one another, crosspost content on each platform, and really tried to create multi step marketing campaigns with all of your social media accounts and you’ll see your success shoot through the roof. By using Pinterest as a bridge or hub to your other social media platforms, you will increase views and traffic on them all. There are some key advantages in using Pinterest to grow your other social media networks. Pins on Pinterest benefit greatly from Google because pins are indexed quicker on Google compared to other platforms. Additionally, over time re-pins from Pinterest can have a tremendous effect on increasing traffic to your other social media platforms. So for example, if you post content on Facebook such as a video, and then include a pin on a Pinterest board related to the Facebook video like a screenshot, or even multiple screenshot images on one board, along with a link back to the Facebook video, when this is indexed on Google’s search engine, you will get increased Facebook traffic from Pinterest. The same process can be applied to drive traffic to any social media platform of your choice via Pinterest. Another way you can increase traffic to Facebook, YouTube and other platforms is to link back to your Pinterest account from your other various platforms. In this example, let’s assume you linked back to Pinterest from a Facebook video you created, then from Pinterest a visitor visits your Facebook page, Pinterest served once again as a hub to your other platforms. Don’t forget, on Pinterest you can use text within an image as well as outside an image. And remember to use a tool like Socialdraft SmartID. It tells you what influencers are already engaging your content on other networks like Facebook and Twitter. Take a few seconds to check them out. 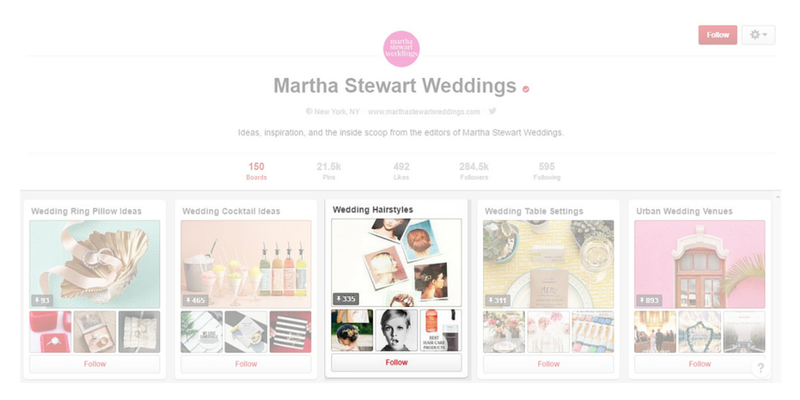 Socialdraft will give you their Pinterest link so you can cross engage them on that network. 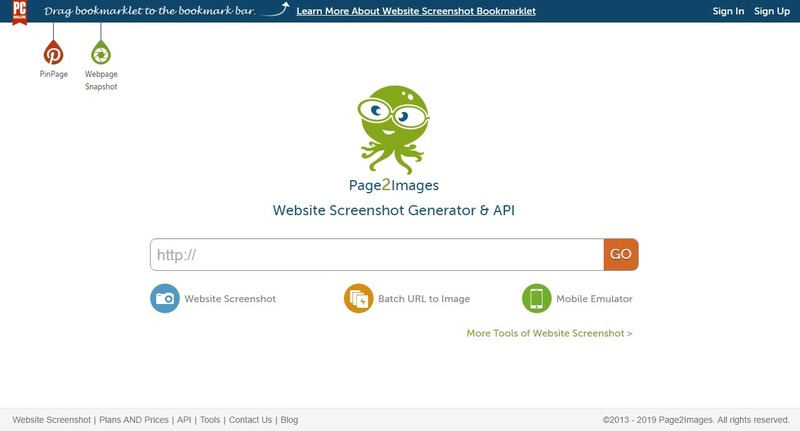 You will find this tool to be incredibly useful. Why use Pinterest for business results? Because it flat out works! If you want to maximize your success on Pinterest when it comes to marketing and advertising, you need to be really savvy about how you use this technology. A lot of people think that because they have used Pinterest for their personal use in the past they understand how to leverage everything that this social media platform has to offer businesses – but nothing could be further from the truth. Marketing on Pinterest is an entirely different animal than marketing on almost any other social media platform, and you have to make sure that you are doing everything the right way to improve your odds of success. Take advantage of the Pinterest information and tricks we’re able to share with you below and you won’t have any trouble whatsoever dominating on this platform ASAP. Marketing success is about three specific things – understanding WHO your market is, understanding WHAT your market wants, and understanding HOW to get your message in front of them. When you are able to master those three elements of marketing, you are going to be able to put your marketing success on almost autopilot. This is true in the world of Pinterest as well as the world of direct mail and television advertising (or any form of marketing and advertising, for that matter). But unless you know exactly WHO your market is, no amount of Pinterest tips and tricks will be able to help you. Wanna know who the Pinterest user is in 2016? Basically, if your market is women who are under 40 years old and make around $75K, then you should be marketing on Pinterest. A lot of people have trouble taking advantage of Pinterest tips to get followers not because they aren’t following the directions to the letter, but because those directions aren’t really going to help them get the results that they are after in the first place. Elite salesmen understand that “you don’t sell the steak, you sell the sizzle” and that “people aren’t interested in drill bits, they really want the little holes that those drill bits make”. This is the kind of mindset and mentality you need to cultivate to have real and lasting success on Pinterest. Regardless of what it is you are selling, there are two different things that you really have to offer – the functional or utility product (what it is) and the aspirational or emotional result that it produces or provides. For example, a car is functional and utilitarian – but a Mercedes (or an Aston Martin) tells the world that you are wealthy and that’s why they are able to command top dollar. This is the kind of thinking that you need to do as a Pinterest marketer to improve your followers and your conversion rate on the platform. What does your market want most? What does your market want other people to think of them? How important is the emotional value of what you have to sell? How can you increase your in tangible benefits to increase your profit margins? How can you best communicate the aspirational or emotional benefits you have to offer on Pinterest? The last of the Pinterest tips and tricks that we want to share with you in this quick guide is maybe the most important, but also the one that most people overlook. Thanks to the power of the web (and social media in particular) it has become ridiculously inexpensive to market and advertise to millions and millions of people all over the world. You need to make sure that you are testing absolutely EVERYTHING) about your offer – your headlines, your images, your copy, your links, your prices, your sales funnel, etc. – until you hit upon a combination that out converts everything else. This is the real secret to Pinterest success, and this is what is going to allow you to live your financial dreams! To have any real success growing your Pinterest account, you need to make sure that it is the right fit, that it is going to reach your target market, and that you are going to be able to leverage the platform to its fullest possible ability. Unless you’re able to check off each of those three boxes, Pinterest probably isn’t going to give you the kinds of results that you’re after – and it may even be a waste of your time. Thankfully, since the overwhelming majority of businesses out there today are going to be able to cash in big time on Pinterest (after all, with an audience of close to 100 million people, that’s a lot of target markets), the odds are pretty good that you’re going to be able to see some pretty amazing results. You may even be able to see transformative results right out of the gate! Pay attention to all of the inside information we were able to share with you below about learning how to grow your Pinterest account. Without having an account that is followed by a considerable amount of people, and an account that is going to continue to grow organically on a daily basis, you aren’t going to be able to really leverage everything that Pinterest has to offer. But we are going to be the show you how to maximize your account, how to spread miracle grow on your account, and how to dominate your market using Pinterest faster than you ever would have thought possible. 5% of all traffic to online shops & websites comes from Pinterest (pretty impressive with the size of their audience). About 56% of the major brands have created Pinterest boards. This means you have a chance. As mentioned above, it isn’t going to be all that valuable for you to jump on Pinterest without first understanding that you are target market is on Pinterest, that your target market is active on the platform, and that your target market is easily reached. Because the overwhelming majority of “boards” on Pinterest are going to be publicly available to view and to research, you’re going to be able to spy on your target market without any real extra effort whatsoever. All you have to do is find people that follow brands and businesses like your own, check out the kind of pins that they have on their own boards, and you’ll know exactly the kind of content that you need to publish – and whether or not to your time on this platform is going to be smartly invested. You won’t be able to learn how to grow Pinterest following accounts until you know exactly who you are marketing and advertising to in the first place. Thankfully, the stats for Pinterest really aren’t that challenging to get your hands on. As we touched upon above, Pinterest has close to 100 million people actively on the site, with 85% of them being female. On top of that, almost 40% of the users on Pinterest come from the United States, but 60% are international users – though they usually navigate the platform using English as their primary language. All of that information is going to help you figure out how to grow your Pinterest account like wildfire. Each and every piece of that information can help you improve your Pinterest marketing significantly. Though you are going to be able to automate a lot of your activity on Pinterest, there’s no such thing as a “set it and forget it” approach to marketing on this social media network. You are definitely going to have to work the system to have it work for you. Thankfully, this should be all that challenging when you pay attention to the inside information we shared with you above! One of the most important aspects of growing your account is to post on a regular basis. For this reason, you should use a scheduling dashboard like Socialdraft. Sit down on a Sunday with your content calendar and schedule your pins for the week. You can even duplicate them to post on different boards! It’s a total life saver. Even though Facebook, Twitter, and Instagram are considered the “Big Three” when it comes to social media platforms, Pinterest has proven time and time again that it cannot – and must not – be ignored if you’re serious about competing online. The web has completely transformed the way that people build their businesses, and the social media in particular provides you with unique marketing opportunities that you never would have had the chance to take advantage of previously. At the same time, you need to know exactly what you’re doing to build your business with this technology – and you need to leverage smart and savvy Pinterest tips for brands and businesses that can help you grow. That’s where we come into play! Why take advantage of Pinterest? Pinterest Analytics: Pinterest offers its own analytics so you can track how many people have pinned from your website, as well as how many people have viewed your pins. 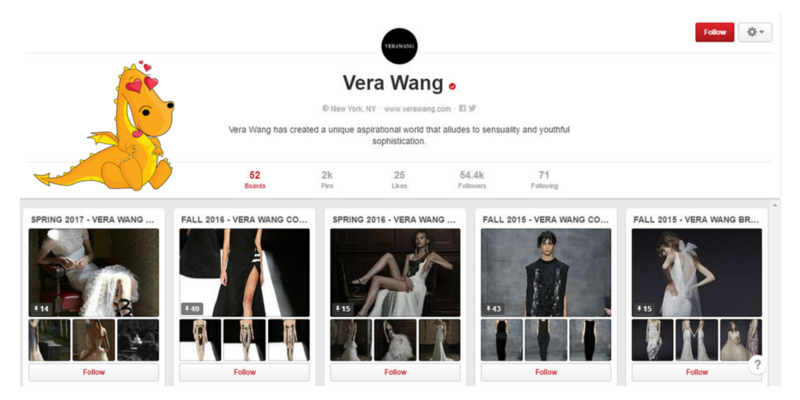 You can also determine what’s trending on Pinterest by reviewing the repin list. Great Place to Share Infographics: Infographics boost engagement and attracts Pinterest followers. Among all your pins and repins, some original content–especially educational content–will give you an extra edge. Because Pinterest is image-based, Pinterest is perfect place for infograhics. Pinterest Has Business Accounts: You can set up a Pinterest business page to sell your products on Pinterest. People Can Pin From Your Website or Blog: You can use Pinterest as another platform to market your product or service with pin worthy images. This really helps you to get into a visual frame of mind, and will contribute to your marketing skills via the power and allure of images. You Can Create Business Boards: You can create boards that represent your business. You Can Add a Pin It Button to your Browser: You can add a button to Chrome, Firefox, Safari or Internet Explorer, which simplifies the pinning a seamless process. Pinterest Helps Optimize your SEO: Pinterest contributes to strengthening your SEO. Make sure you include a link back to your website or blog to drive traffic. As we mentioned above, you are going to be able to tap into an amazing source of traffic when you market on this platform. We are talking about gaining the ability to spread your brand, your marketing messages, and your advertising to more than 100 million people – many of them hungry for the kinds of products and services that you provide. You’re also going to benefit from tons of web traffic. Did you know Pinterest was #2 two source of all social media traffic to Shopify stores in 2015? The multimedia capabilities and visual nature of this platform is going to really open up your marketing opportunities as well. You just have to be smart about how you go about using this platform to get the highest return on investment from it. Consistency is the key when you are looking to succeed on social media, and that is the first of the Pinterest tips and tricks for business that we wish to share with you. For starters, you need to create a Pinterest “board” that is consistent with the rest of your brand, the rest of your marketing and advertising pieces, and the rest of your sales efforts. People should be able to visit your board and know immediately that it belongs to you and your business – there should be no confusion, there should be no mistaking this, and there should be no “hiccups” that might otherwise derail this consistency. On top of that, you need to make sure that you are regularly and consistently posting to Pinterest based off of a repeatable schedule. People should be able to know exactly when you are going to release new content, and they should be able to set their watches to this schedule and count on you religiously. This is the only way that you’re going to be able to rise above the “shotgun marketers” that prey and spray when it comes to advertising on this platform. Another of the Pinterest tips for brands that we want to share with you in this quick guide is the value in giving your market EXACTLY what they want. Not only is Pinterest a fantastic tool for disseminating in sharing your content, but also gives you x-ray vision when it’s time to analyze your market, your prospects, and what they are interested in. Simply follow some of the people in your target market, pay attention to the content that they are adding to their own Pinterest account, and you will have more targeted marketing information than you ever would have had previously. There is real power in taking advantage of these Pinterest tips and tricks for business. Use them wisely and your results will skyrocket. Color: Pins that have more than one dominant colors get repinned more. How much more? At least 2 times more. That’s pretty significant. So go ahead and test this out. Use Optimized Sizes: Real estate is key on Pinterest. A tiny pin is just not going to get noticed on Pinterest. Make your images BIG, HUGE!!! Start off with an image that is at least 736 pixels wide. Also, make your image tall. Vertical images get repinned aignificantly more than horizontal images. Keep things “Objective”: Studies also show that images of people) get reppined 23% less than those of objects. This means Pinterest is a perfect platform for you to feature products, not selfies.. Include a Call to Action: Ask and you shall receive. This is especially true on Pinterest. Include a call-to-action (example – click for more info) in your pin description. This should result in an 80% increase in engagement. Check your Pin Links: As seen in the video above, edit the links to your pins, it’s super easy, takes just a few seconds, and this way you can decide exactly where your Pinterest pins will go. One of the keys to social media success is to be active. The moment you stop posting, your community will forget about you. So take advantage of a tool like Socialdraft that allows you to schedule pins to your Pinterest boards. This way you can do all that work at once and make sure that you are a constant presence in your audience’s eyes. One of the latest additions to Pinterest is the introduction of Rich Pins which include more information about pinned images and the integration of the Pin It button with mobile apps. Rich Pins are Pins that include extra information on the Pin itself. There are 6 types of rich pins: app, movie, recipe, article, product and place. From your feed, you can tell when a pin has more information by the icon that appears below the picture. Pinterest will also update all of your old pins so they’re more useful. 1) Product Pins are for things like clothes and furniture with pricing, availability, and where to buy (updated every day!) Product Pins include real time pricing, availability and where to buy. Pinners also get notifications when product Pins they’ve added drop in price. 2) Recipe Pins include ingredients, cooking times and serving info to get Pinterest cooks excited to hit the kitchen. 3) Movie Pins include ratings, cast members and reviews to help Pinners learn about new flicks. 4) Article Pins include headline, author and story description, helping Pinners find and save stories that matter to them. 5) Place Pins include a map, address, and phone number. The benefit of Rich Product Pins is that they show current pricing details and have a direct link to the product page. With regular pins, the user must enter the price and the link only appears when someone hovers over the image. Rich Pins also automatically update with your website, and make shopping or finding information on Pinterest much easier. 1) Decide what kind of Rich Pin ( product, recipe, movie, article or place ) you want to apply for your website. 2) Learn more about the required meta tags for each type of Rich Pin you want for your website. 3) Add the appropriate Rich Pin meta tags to product, recipe, article, movie, or place pages on your site. 4) Apply for Rich Pins with a single URL that contains the correct meta tags in the Rich Pin validator. 5) Someone from our team will contact you over email with the status of your Rich Pin application. The review process may take a few weeks. 6) Once your site is enabled for Rich Pins, all Pins that link back to pages with the correct meta tags will start appearing as Rich Pins. All smart and savvy marketers understand that there is tremendous power and influence in understanding the “numbers” behind the marketing and advertising that they do. This is especially true of marketing and advertising on the Internet, and doubly true when your marketing with social media. Without understanding your numbers, without understanding Pinterest stats and 2016 figures, and without knowing exactly how many people use Pinterest on a regular basis – and how many are likely to visit your page and interact with your content – you’ll never have a chance to enjoy the kind of success you’re hoping for. That’s why we are sharing with you these 10 critical pieces of Pinterest information below. Hopefully, you’ll be able to use them to improve your marketing and advertising on Pinterest dramatically. With more than 100 million regular users logging into Pinterest every day, the marketing and advertising opportunities that you have available to you are unlike anything else out there. Sure, Facebook, Twitter, and even Instagram may be larger than Pinterest – but when you figure out how many people use Pinterest on a daily basis, how many of them purchase products from Pinterest or because of Pinterest, and how many of them are part of your target market, you’ll see exactly why this platform is so important to your bottom line. It is of vital importance to laser target your marketing and your advertising today, and when you know that the overwhelming majority of people that are going to see your marketing and advertising pieces on Pinterest are women things become a lot easier. You can tailor your messages to your market and your conversion rates will jump through the roof! Another important number (maybe even more important than understanding how many people use Pinterest in the first place) is that the bulk of them – nearly ¾ of them, in fact – is going to either purchase something directly from a Pinterest link or because of seeing content on the platform. This is not an insignificant figure. Another of the more important Pinterest stats 2016 has shown us is that close to 60% of all users on the platform are from the United States. This is great news for those that are targeting US-based markets, but it’s also fantastic news for those that are targeting the international market as well. English is the dominant language on the site, so you aren’t going to have to worry about translating your content to maximize its shareability. International growth rates on interest is sky high, a lot higher than almost any of the other major social media platforms. We’re talking about international growth that is close to 135% in 2015 alone – an incredible figure that (if it keeps up) is only going to skyrocket your business success even faster. To have people engaged on your Pinterest platform for 15 minutes at a time is almost unheard-of in our digital world. Remember, we live in a day and age when every competitor on the planet is only a single click away from your website, your Pinterest account, or your other social media profiles. At any point in time, your prospects can abandon ship, in the fact that they stick around for up to 15 minutes at a time on Pinterest gives you a tremendous opportunity to market and advertise to them. As we touched upon above, Pinterest is growing at an exponential rate. Millions of people are joining the site every month, and since it is one of the younger social media platforms, it’s only going to continue to grow and grow as it matures. You’ll have access to fresh traffic for quite a while. Even though you are going to have the opportunity to market on Pinterest as often or as infrequently as you like, research shows that the “sweet spot” is right at five posts a day. Any less than that and you won’t have enough content to share, and any more than that and people begin to feel overwhelmed. According to the people behind Pinterest, the best time to post content and really maximize its share-ability potential is to upload it on Saturday afternoon or in the evening. This gives you the best chance to really spread your message, as that’s when the overwhelming majority of Pinterest users are on at the same time. At the same time, different days of the week are better suited to posting different types of content than others. Monday is a great day for fitness posts, for example, while Friday is best suited to funny posts. You’ll have to do a little bit of experimenting to figure out exactly how to get the most out of your content, but it’s important to remember that there is real value in posting regularly and on a specific schedule. 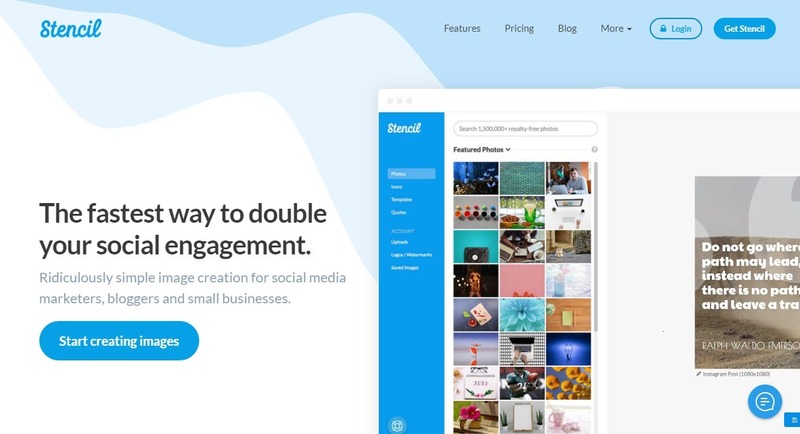 On top of this, you can also engage your audiences, you can get alerts whenever your business or brand is mentioned, and you can turn these alerts to social media posts in seconds. Our dash does tons more, so check out our demo for full details. With 100 million active users on Pinterest (and millions more signing up every month), it would be absolutely insane for you to conduct any serious marketing online – especially social media focused marketing – without growing a robust Pinterest account that could help you boost your business and your bottom line. Pinterest, like most other social media platforms, provide you with the unique opportunity to laser target your marketing messages while at the same time creating “native campaigns” – marketing campaigns that do not look like marketing campaigns, with the ability to slide underneath the sales radar that most savvy customers have these days. Pinterest has global appeal, with the percentage of Pinterest users outside the U.S. being 45 percent, and Pinterest growth from those users in 2014 is 135 percent. Pinterest users are also heavily slanted toward females, with over 35 million female users, compared to only 6 million male users. However, the growth in male monthly Pinterest users in 2015 was 120 percent. Pinterest is dominated by women in their 30s with young families. One thing that makes Pinterest a powerhouse is that consumers go straight from Pinterest to vendor websites. And according to eMarketer, Pinterest sends people to online vendors more than any social channel other than Facebook. Kraft joined Pinterest in 2012 and says Pinterest has transformed the way Kraft thinks about its content marketing. “Pinterest has become a powerful tool for us to garner real-time insights, mine data and influence content creation, curation and amplification,” said Jennifer Feeley, associate director of digital strategy and channel activation. 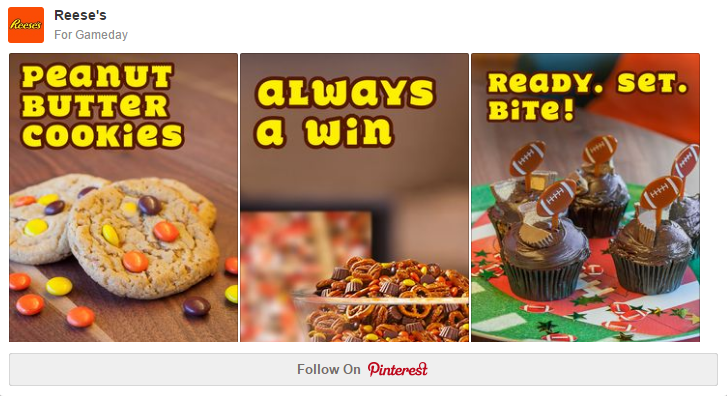 The REESE’S brand used a combination of Cinematic Pins and Promoted Pins to impact purchases, brand favorability, and familiarity. “We chose Pinterest as our next marketing platform because it let us hone in on our millennial audience during key decision-making moments, especially when they are planning menus or activities during the football season,” said Connie Kwok, Manager, U.S. Brands Digital. If you dig down deep into their strategy, note that the branding on these pins is quite clever. Bold, easy to read lettering that uses the color of Reese’s brand. The brand also took advantage of Pinterest’s gender audience being female. These pins are recipes, perfect for the average Pinterest user. Walgreens built a collection of Pinterest boards promoting the exploration of their brand, from tutorials on eyeshadow application and makeup brushes to DIY projects during the holidays. They Pin popular products from their site, share content created by bloggers and add popular, relevant Pins from Pinterest. Since launching Promoted Pins, they’ve more than tripled their average referral traffic back to Walgreens.com. “Getting the opportunity to be part of the Promoted Pins beta was a great learning experience,” said Shanti DeLand, Manager of Social, Mobile & Content Marketing. “We were able to play with a new type of content on this platform while optimizing against new audience and category segmentation on the paid side. We learned a lot about who the Pinterest consumer is in a short time frame. To put it bluntly, you need to learn how to grow a Pinterest account ASAP. Even though you may be a little bit late to the game when it comes to building your Pinterest platform, there are quite a few things you can do to help you unlock all the secrets to figuring out how to grow your Pinterest following. We are going to share with you some inside information below that will boost your results dramatically. The easiest (and the fastest) way to figure out how to grow a Pinterest account is to create a consistent uploading schedule that you stick to religiously (and thankfully for you-you can do this on Socialdraft while you schedule posts for tons of other social networks). Pinning – the act of uploading new pieces of content to the Pinterest platform and allowing others to share this content virally – needs to be done on a routine basis, and it needs to be done multiple times a day for you to have any impact whatsoever. Of course, you’re going to need to make sure that the content that you do end up uploading to Pinterest is valuable, interesting, and as shareable as can be. Shareable is a big piece of the puzzle, and honestly where a lot of people really drop the ball. Bite-sized bits of content that lead to deeper marketing funnels are always going to be more advantageous than big “chunks” of content that you upload to Pinterest that will never be devoured, let alone shared. This is an instance where KISS really makes a difference. Another thing you’re going to want to keep in mind when it’s time to figure out how to grow a Pinterest following is to include buttons that give visitors to your site or your blog the opportunity to pin your content and share it on the platform. This allows you to keep your visitors in your “bubble” – the online space that you are in complete and total control over, and the online space that gives you the opportunity to market to these individuals without interference from your competitors. On top of that, you’ll be turning each and every one of your visitors into “invisible salespeople”. When they share your content using these buttons, they are going to be distributing all of these uploads to the 70,000,000+ individuals on the Pinterest platform. Since Pinterest is such a visually focused website, you need to make sure that all of your content is going to dovetail nicely with the people on Pinterest and their expectations. You need to include as many rich images in your uploads as possible, and it’s even better if you’re able to include quick GIFs will then allow you to get your message across as well. This might take you and your production team a little bit more time and a little bit more effort, but it’s always going to pay off. You have absolutely have to make sure that you do absolutely everything you can to attract people with your Pinterest marketing efforts, but you also have to make sure that you do absolutely everything you can to get them into your marketing and sales funnels ASAP. After all, you aren’t spending time figuring out how to grow a Pinterest account or a Pinterest following just to brag about it. You’re doing this to improve your business and your bottom line results, and that will only be possible if you transform these prospects into paying customers as efficiently as you can. The easiest way for you to get noticed by your audience is to go to them. Check out their pins, leave meaningful comments. Once you say hello, it will be difficult for them to ignore you. They will most likely be a little curious about who you are and why you left a comment…and head over to your profile. This increases the chances that you are followed. So go ahead, get over that stage fright and go make some friends. You asked, we listened, we delivered. Pinterest is darn fun…and Facebook groups are an awesome way to beat that annoying algorithm, so we listened to your requests and are happy to announce that you can now BOTH schedule pins to Pinterest AND schedule posts to Facebook groups. How Groovy is that! This means that businesses and brands looking to build or grow a targeted community on Pinterest need to consistently post engaging, gorgeous, and entertaining pins. Facebook are not a replacement for your Facebook page, but an awesome way to boost your business and build relationships with your clients. The best part about Facebook groups is that all your posts will show up in the newsfeed. Facebook groups are NOT affected by the algo. The downside is that the updates will only show up to the members of your groups, but you have a whole hell of a lot more control over what is seen…so we highly recommend these become a part of a business strategy. You can now consider us you one-stop social media marketing dash! If you’re already using our dash, there’s nothing you need to do…if you’re not, simply sign up for our risk free trial. 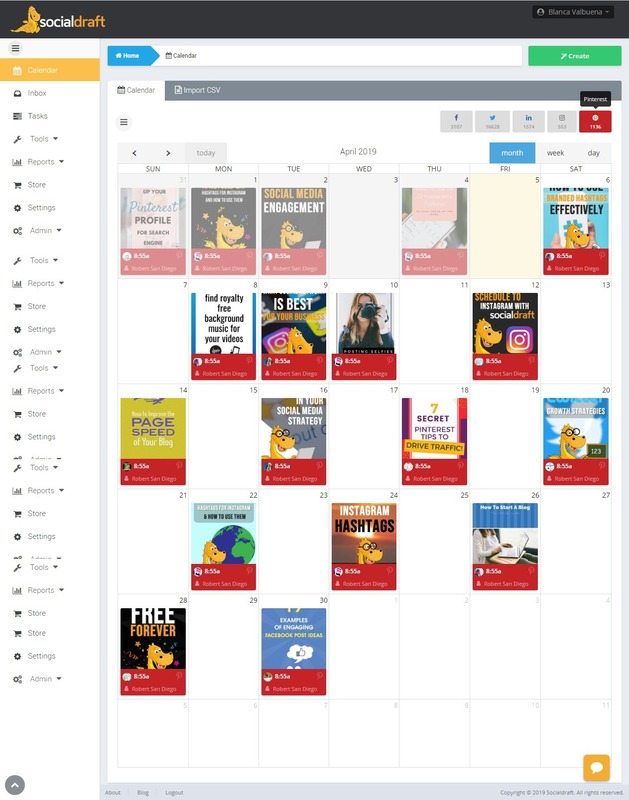 Scheduling a Pinterest image or post to a Facebook group using the Socialdraft drag & drop calendar takes just a few steps.